Happy Independence Day from one of the original 13 colonies! I have had the privelege of growing up in Delaware, rich in United States history, both good and bad! If you're not careful you can walk past places with lots of stories to tell, but have no idea that they were important in our nations history. 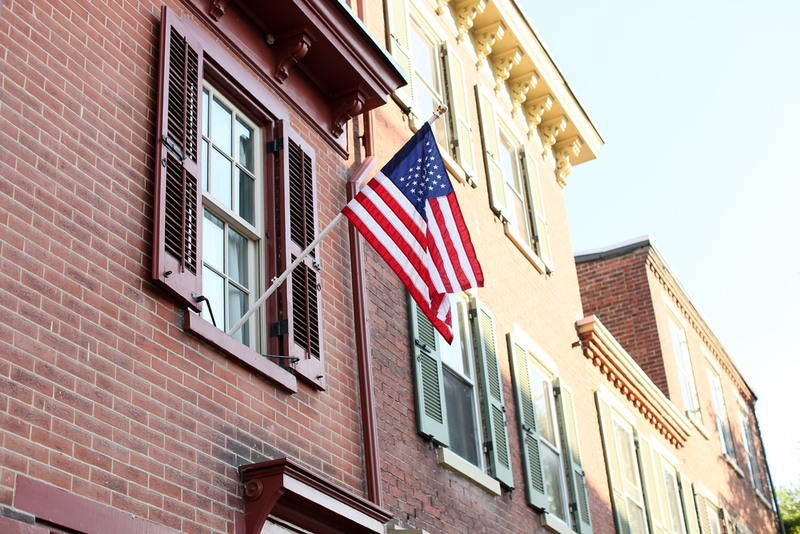 A place I love to photograph is historic New Castle in Delaware, along the Delaware River. Huge efforts have been made to maintain this area as a historic site. It helps that I am a history nerd along with a photographer! Do you know what kind of courage and bravery had to accompany these words? I admire the founding fathers and today is a day to remember them. Thankful for the story of this country and a little sad at where it stands today. "Hope springs eternal" though and I believe we can get some things back on track here in the US of A! Happy 4th my friends!